This is a smaller sized but “powerful” looking 31×40.7mm. 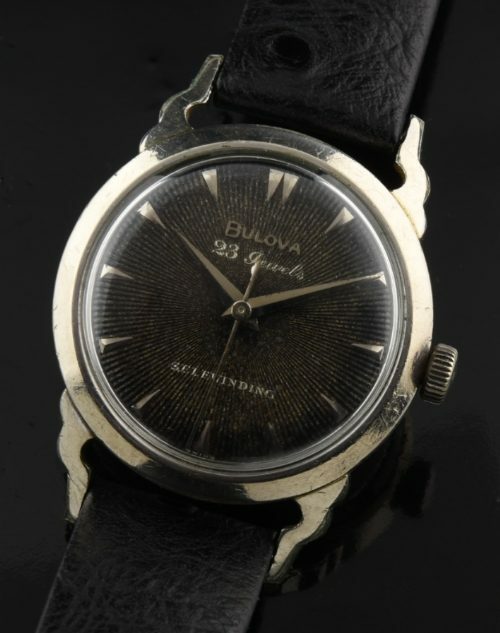 BULOVA having a fine 23 jewel AUTOMATIC movement which was just cleaned and accurate. The case is 14k. gold filled with steel back. Look at this very interesting and attractive lugs-WOW! There are the usual scratches on the case from normal wear, but on the wrist the whole watch really looks great on the wrist. 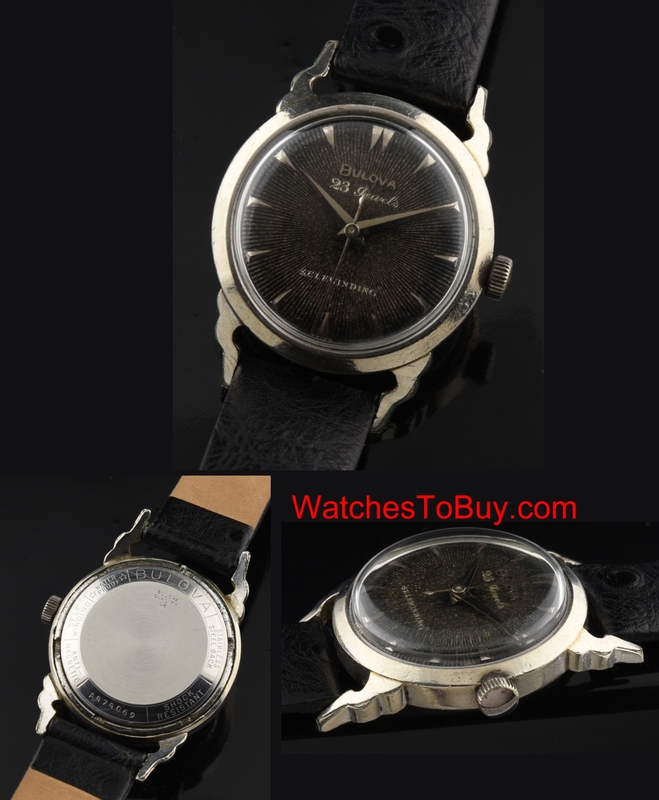 This black dial is really amazing-raised starburst pattern aging to a “Havana” brown tone. The original polished Dauphine hands complete the look.